What are your options for fixing chipped teeth? More situations chip teeth and change smile contours. Chewing ice, not wearing a mouthguard during sports, night time teeth grinding and simple wear and tear knock small, and sometimes large, pieces of enamel off tooth edges. Besides being unsightly and embarrassing, rough, chipped edges cause oral discomfort, and the chipped tooth decays more easily because it’s harder to keep clean. Cosmetic dentist, Dr. John G. Boyd, of West 7th Smiles, artistically and securely repairs tooth chips of all sizes and configurations. As an accredited member of the American Academy of Cosmetic Dentistry, Dr. Boyd employs the latest and best aesthetic techniques for restoring the look and function of injured and decayed teeth. Three of the simplest and most effective options for reshaping chipped, worn enamel are tooth bonding, tooth contouring and porcelain veneers. Frequently, Dr. Boyd uses them singly or in combination to even tooth size, fix missing corners and make gaps, crowding and surface pits disappear. An in-office treatment, comfortable tooth contouring sands down small chips and odd enamel contours. While inappropriate for people with extensive decay, gum disease, sensitive teeth, fillings or other restorations, tooth contouring is fast and effective for the right dental candidate. Dr. Boyd employs an artistic touch as reshapes enamel. 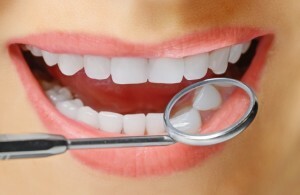 The sanding procedure is perfectly safe as the dentist checks health and position of tooth pulp first by x-ray. Amazingly, even tiny changes in enamel improve the look of teeth. Also called composite resin bonding, tooth bonding fills in larger chips, pits, and spaces and even smoothes overcrowded teeth. Durable, fluid and tooth-colored, composite resin is made of a unique blend of porcelain and acrylic. First, Dr. Boyd prepares the tooth surface with a special etching liquid. He then applies the resin, shaping it to fill the defect. A special light to hardens the resin. After final shaping and polishing, the tooth is fully restored. Composite resin repairs last for years with good at-home and in-office hygiene. Deep stains, odd tooth shapes, gaps and larger chips and fractures may be repaired best with porcelain veneers. Also termed dental laminates, porcelain veneers are super-thin shells of dental grade ceramic. Tooth-shaped and colored to blend in with surrounding teeth, veneers permanently restore damaged enamel for a smile that anyone would love to show off. After determining teeth and gums are healthy enough for veneers, Dr. Boyd removes a small amount (1/2mm) of enamel from the front side of teeth. He also takes impressions and photos to send to an outside dental lab. The veneer technician constructs a model of the patient’s mouth to accurately sculpt each veneer. During a return visit to West 7th Smiles, Dr. Boyd bonds the laminates in place, completely covering chips, stains or other cosmetic issues. He adjusts the color by varying the shade of the bonding adhesive and shapes the edges for proper look and bite. Don’t feel awkward about defects in your smile. Contact Dr. John G. Boyd at West 7th Dental for a cosmetic dentistry consultation. Comments Off on What are your options for fixing chipped teeth?